The average wait for a Merch by Amazon approval is 3-6 months. One thing I’ve noticed is that people often sit and do nothing during that time. Then when they finally get approved, they go into panic mode because they are overwhelmed with what to do and how to start. 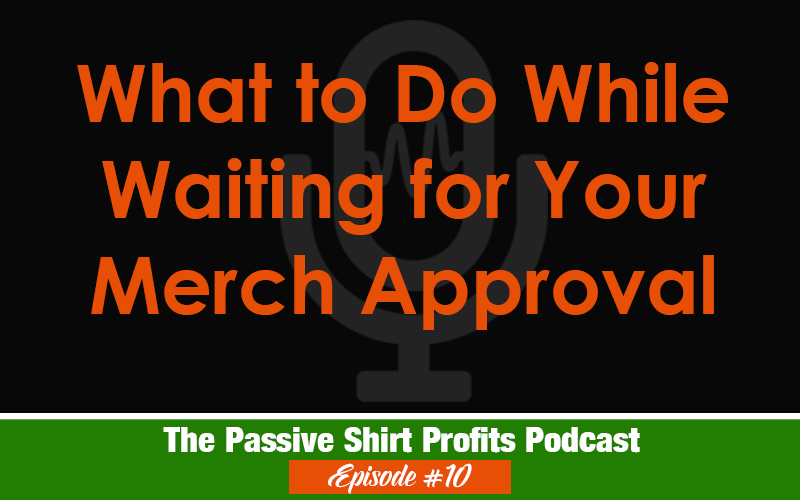 In this podcast, I discuss a couple of things you should do while you wait. Even if you can only devote an hour a week on these activities, it will make a big difference in how you feel when that approval comes in. LOL. I was listening to one of your other podcasts when you were talking about software programs for design and thought to myself, “Lisa is totally biased”. LOL. Anyway, it’s just human nature to recommend what we’ve used and are accustomed to. I haven’t really used to Adobe programs so couldn’t say much about them myself. ~Inkscape is a 2D vector graphics program like Adobe Illustrator. ~Gimp is a 2D raster/pixel graphics program like Photoshop that has photo editing features but can be used for painting. ~Krita is another 2D raster graphics program that is more focused on digital painting and animation than photo editing. ~Blender is a very capable and complex 3D graphics and animation program. Few people would use it for shirt design but I mentioned it for completeness. For anyone just starting out, I think it will take them a long time to outgrow any of these programs. If someone wanted to start creating designs without spending a lot of money on software they could just download one of them without worrying about being held back. On the other hand, the Adobe suite is an industry standard so there are MANY tutorials, courses, books and resources available to learn. It’s certainly possible that they could find their path smoother if they’re using the same software so many other people use. Excellent post and yes I am admittedly biased! LOL 🙂 Thank you for sharing that. I have never heard about Kita before. I’m sure people will appreciate more options. Yeah, Krita probably isn’t as well known as GIMP but it has undergone rapid development in recent times. It’s niche is about catering to hand drawn digital art and animation over photo-retouching and manipulation. It has some support for vectors and text as well but its focus is on painting using digital “brushes” that lay down various patterns of pixels. My primary interest has been digital painting and I found GIMP less accessible for this than Krita. I mostly use Krita instead of GIMP for drawing and Inkscape for vector illustration. Anyway, I’m also waiting for my Merch invitation and now I know I’ll have a few months wait at least. However, I’ve already been uploading to other sites like Teepublic, Redbubble and Cafepress. I have only a couple designs so far and big fat 0s for views, much less sales, LOL. So one of the challenges will be figuring out how to drive traffic once I have a few more designs up. I think this is one of the advantages of Amazon with its huge natural traffic. However, I plan to get some eyeballs on my designs before I get into Merch so I can know what sells. Don’t forget about Spreadshirt. Second to Merch for organic earnings is Spreadshirt for me. I have a random account that I just upload designs to (no promotion) and it has done as much as $250 in a month. Next would be RedBubble. Yes, nothing beats Amazon’s organic traffic. Good luck to you and thanks for dropping all that software knowledge! Funny thing is I started signing up for Spreadshirt and something about their sign-up process seemed confusing and as I’d already joined Cafepress, Redbubble, Teepublic and Zazzle I just stopped. Now that you’ve mentioned that it’s your second highest earner I’ll have to go back and look at them. Oh their upload process in incredibly tedious! So annoying. They are almost as bad as Zazzle, but I seem to do well there by uploading a lot of Holiday-related shirts. Also on their homepage they highlight relevant holidays so I use those links to get ideas for what topics/niches to focus on.